Can Virtual Reality make Industries safer and revolutionise training? Top 3 reasons why we think it can. According to a recent speech by the Chief of the ILO’s Health and Safety Programme “Over one million work-related deaths occur annually […] while hundreds of millions of workers suffer from workplace accidents and occupational exposure to hazardous substances worldwide”. Apart from the human factor, workplace injuries have serious economic consequences: “estimated, employers globally pay almost $1 billion per week for direct workers’ compensation costs alone.” Not counting the cost of downtime, damage to equipment, environmental and production costs. Effective Operational, and Health & Safety trainings are a vital concern for most industries from Healthcare to Retail or Education to Oil and Gas. However, the cost and requirements of training can vary widely. Organisations with large industrial applications, specialised equipment and multi-layered operations can spend millions of dollars on developing elaborate training programs and learning pathways for employees. The cost is high not just in financial terms, but time, efficiencies and the cost of human error when things don’t go as planned. But what if you were able to step into different scenarios and environments that give employees the opportunity to experience high-risk situations first hand; without the immediate dangers or distractions or the cost of creating on-site training simulations? Virtual Reality can do this and more. Here is our list of the top 3 reasons for utilising Virtual Reality over traditional training simulators. The list of industries, where replicating real-life scenarios is not just expensive but nearly impossible due to the hazards, cost and scale required are extensive. Setting a plane on fire for Airport Fire Fighter (ARFF) training or replicating a chemical leak in a residential tower block for Civil Defence is not just expensive and poses operational challenges but often too dangerous for property and personnel. So, how can you adequately prepare learners to make good decisions when facing hazardous situations? In VR everything is possible. Let it be equipment failure in the middle of the ocean on an Oil Rig or a Nuclear Reactor Maintenance session for radiation protection. The level of detail within the VR experience can be adjusted based on the type of training and the complexity of the scenario. A great example is the NAFFCO Falcon ARFF truck VR training simulator developed by SENSE-R in 2017. To maximise the effectiveness of the simulator, applied Physics were further enhanced by AI during the development process, making the experience completely life-like and suitable not just for equipment and operation training but crisis response as well. If someone just once sat through the usual PowerPoint presentations and safety videos used for traditional training, they will immediately see the issues with User Interaction and knowledge retention. Or rather the lack of it. Data suggests that VR training can be more memorable than video content. Virtual Reality is entirely immersive and lifelike; Users can’t fast forward, skip steps or ignore crucial information without immediately experiencing the consequences. Especially crucial with roles where life and death can depend on fast retraction time and following emergency rules closely. A full-scale VR training simulator can be used nearly anytime, anywhere. They don’t require the use of actual machinery or physical sites. Pre-programmed experiences are easily reset, and initial development costs can be amortized with the addition of follow-on training modules for a marginal cost. A fitting example from the Healthcare Industry; A high-fidelity training mannequin costs between $180,000 to $250,000 and can only be utilised at one location by one trainee. A high-end VR kit with headset and sensory handles costs between $600 to $900 per unit on top of the one-time software development fee (simple training scenarios can be developed from approximately $20,000). Different users in different areas can simultaneously use the same training scenario. 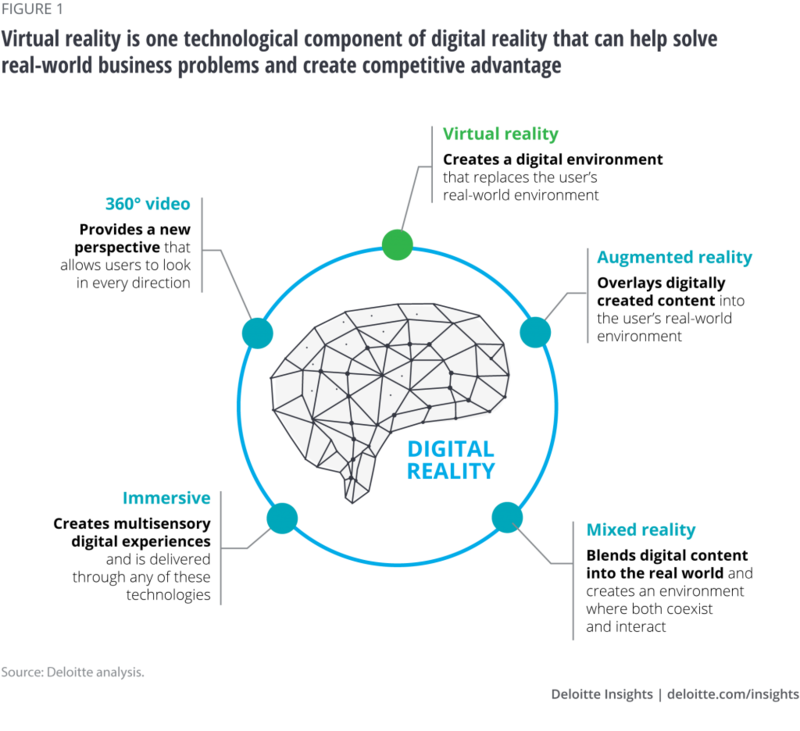 VR experiences are adjustable, economic and scalable, and allow for more training repetitions, especially when dealing with costly, rare, or dangerous environments. Traditional training programs and simulations have long been a trade-off between the easy and the ineffective, or the realistic but difficult and expensive. 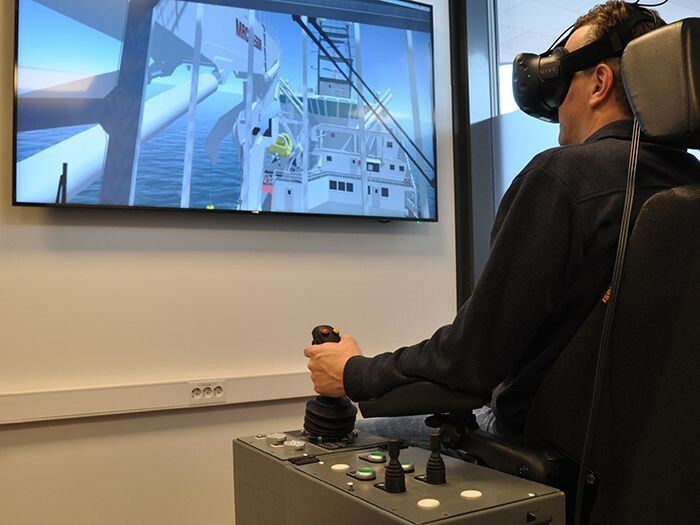 VR-based Training and Simulators offer the ultimate no compromise solution. They are repeatable, realistic, and while not necessarily cheap, they can turn trainees into experts more quickly and effectively in a safe and cost-effective environment. This VR Training Simulation is One of the Best We’ve Ever …. Research Backs Benefits of VR Training – td.org.